Enclave is a private gated community made up of just over 100 patio homes. 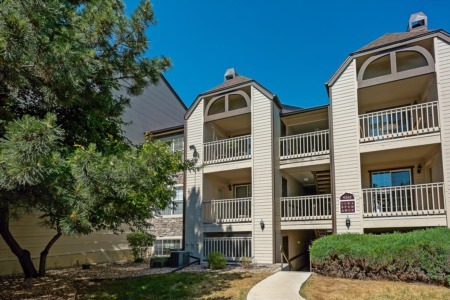 The community is located in Lone Tree, to the east of Yosemite St and right off of I-25. Many of these single family patio homes are built to over 4,000 square feet and were first constructed in the early 2000's. One of the major draws of the Enclave development, is the easy and luxurious lifestyle made possible by low maintenance properties. All landscaping, maintenance, trash and snow removal, in addition to any other year-round property maintenance concerns (i.e. leaf removal, etc.) are all responsibilities taken on by the homeowners association. The Enclave is located close to the Lone Tree Recreation center, which is a 50,000 square foot multi-million dollar facility that includes workout equipment, swimming pools, childcare and a full-size gymnasium with an indoor track.